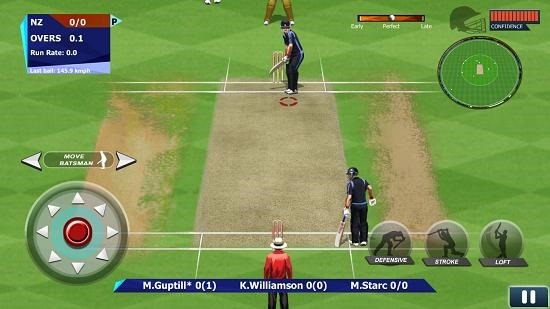 Real Cricket 15 is a free cricket game app for Windows 8 and 8.1. Running the game will present you with the main menu of the game wherein you can choose the mode of the game which you wish to play. When you have chosen a mode, you can choose the teams that you wish to play with, and then you can create your team by choosing the players whom you want in the playing 11. You can then choose the side of the coin you want, and then the toss is done. Finally, you’ll be taken to the game where you can play it with the onscreen controls. 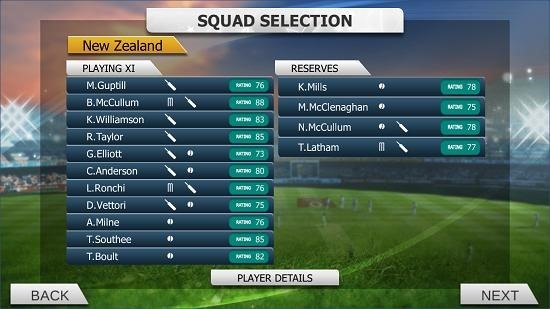 Real Cricket 15 is available for free from the Windows App Store. When you run the game, you will be asked to enter your name as can be seen in the screenshot below. When the name has been entered and you have clicked on OK, you will be presented with the main menu of the game. Here, you can choose the type of game that you wish to play. You can now choose the teams that you wish to play with. Once this has been done, you will be taken to the team creation screen. Now when you click on the Next button at the bottom right of the screen, you will be taken to the toss screen, where you can select the side of the coin. 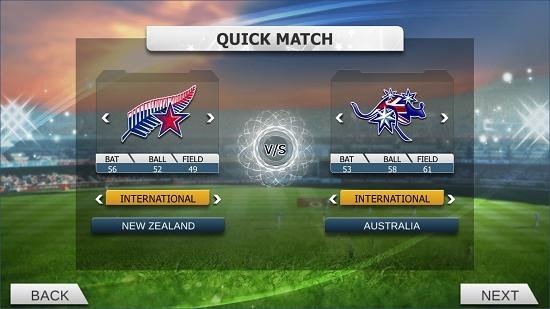 After the toss has been done, you will be shown a brief help screen which will help you to get through the game. As is seen above, the help screen allows you to go through the controls of the game. The gameplay screen then follows which is shown below. 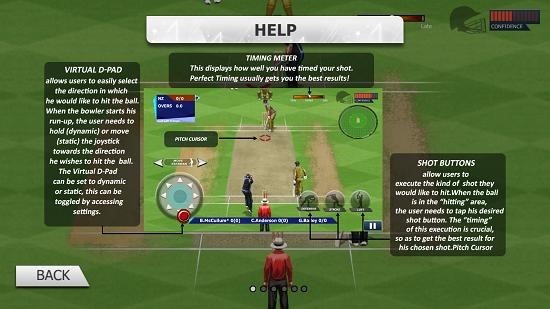 When a wicket is taken or boundaries are hit, you will see prompts which are shown in the screenshot below. 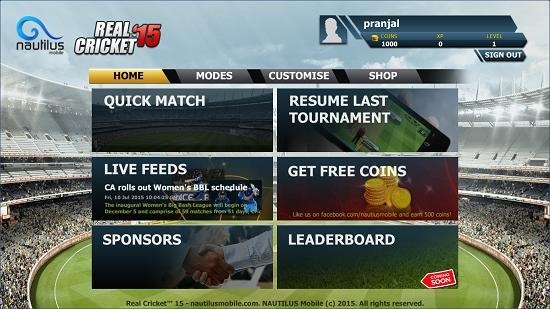 This concludes the main features of Real Cricket 15 for Windows 8 and 8.1. 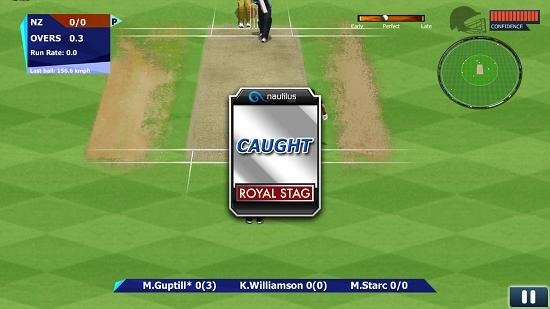 Real Cricket 15 is a great game app for cricket lovers. You can grab the app for free from the link below.